My family and I recently moved from New Jersey to Austin, Texas. We knew looking for homes would be a tedious process since our home back east was something that we had designed and created together. We looked at home after home and nothing felt right until we visited a McGuire home that was almost completed in Belvedere off of Hamilton Pool Road. Immediately, the house appealed to us; the beautiful planked cathedral ceilings of the great room--lined with deep mahogany, rough hewn beams which flowed seamlessly outside to our patio and outdoor living space, the open-floor plan kitchen enhanced with custom cabinetry, granite and natural stone to make even the grandest of culinary chefs gasp, the media room that was pre-wired ( as well as, the entire house!!) for music and entertainment could be accessed through your smart phone and tablet, and the the master bedroom and bath was spacious, warm and inviting accented with LED lights within the tray ceiling. But more than just the outstanding workmanship and the architectural allure of the house--what truly impressed us was that the McGuires were passionate about their custom homes and the top of the line products they spared no expense to fill the space to make a house feel like a 'home.' Within a great business, your word is everything when dealing with clients that place their trust and money in you, and not only did we get everything they listed in their home specs, but we received their promise to be there for us for any questions or concerns we may have--even after we closed and were living in our home for quite sometime they were always there for us. Phone calls were always answered or returned promptly and visits to the house by them or their professional team, were immediate if we had questions or ideas with the future of our home. The McGuires surpassed our expectations for quality home builders and truly made this house our dream home where we could raise our family and rest easy every night knowing that excellence and compassion went into every piece of timber and pipe that was laid. I would more than highly recommend these sincere home builders to anyone looking for quality, safety and elegance in your new home. The most important question to ask a previous customer - Would we select Ron McGuire to create our next custom home? A definite YES. Over the years I have purchased 6 new construction homes in various states, so the building process is not new to me. It is always a team effort between homeowner & builder. Working with the Ron McGuire team has been such a positive experience. The McGuire's actually helped us evaluate lots on our first encounter. Their knowledge in relating topography to building costs and design elements was extremely helpful. Throughout the building process Ron was readily available via text or phone. His cooperation allowed this to be "our home" more than merely "our house" by incorporating ideas and features we particularly wanted. Ron and his team are easy to work with and skillful. Ron's attention to detail is evident throughout our home. We highly recommend McGuire Custom Homes. Back in 2001, I contracted Ron McGuire to build my house here in San Marcos. I had my own building design and prints and Ron was able to construct my home to my specifications. I love my open living space. Recently, we had enough hail to damage the roof and had to have it resurfaced. While inspecting my roof, the insurance and roof inspectors discovered a problem with my chimney unrelated to the hail damage. I contacted Ron to see if he had a reliable contractor he could put me in touch with to have the work done. He went me one better! He sent his own subcontractor to check the chimney and determine what needed to be done. He was under no obligation to do this. The work was done and I no longer have to worry about the chimney problem. "Service after the sale" took on a new meaning for me. Ron built my house in 1999 and I am still tickled to death with it. I have a little bit of a creative mind and had some out of the ordinary, somewhat unusual requests. I gave those to Ron, and he figured out how to get it done. The pictures of the domed ceiling are mine and that is just one example of what he pulled off. A builder is only as good as the sub-contractors they choose and Ron has been doing this long enough to know who to use and probably more importantly, who not to use. He is also just a good guy that is easy to work with. Meet with him and you'll see. We were first time home builders in 1994 and the moment we met Ron McGuire, we knew we were in good hands. Ron treated us like family. We felt comfortable and knew we could trust him. We had some innovative ideas and he worked hard to implement every one of them in our dream home. It has been 17 years and if we had to build another home, we would not hesitate to call on Ron and his team of experts. If you are planning on building a home, don't hesitate to contact Ron to help make your dreams come true. Ron McGuire & his team gave me the absolute best custom home I could have hoped for. They were open, communicative, and knew just what I was looking for it terms of my dream home. Since the very first day, I felt like a part of the process. It was clear that with their experience and ability to communicate ideas that they were able to build me & my family a custom home that actually exceeded our expectations. To see my ideas and input come to life in front of me was unbelievably rewarding. The level of detail and expertise that they brought to the table helped to bring my custom-made dream home to life showed me that I had made the right choice. They were so skillful and attentive to every detail, it felt as if they were building the house for them to live in. Now I look at my new dream house and feel like I'm truly home for the first time - and I owe it all to Ron McGuire Custom Homes. 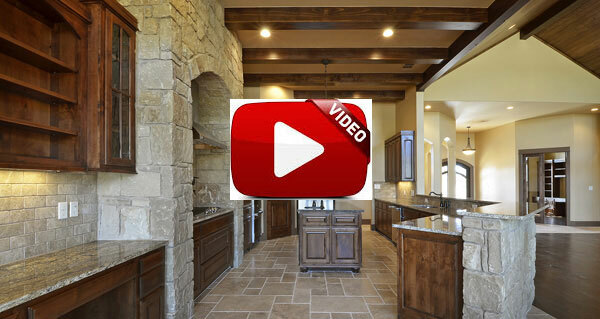 Ron McGuire Custom Homes has met all of our construction needs. They are so easy to work with and take the stress out of building a home, making it fun. Since Ron built our home more than 12 years ago, we have used them for additions to our home and remodeling. We absolutely love the outdoor kitchen, pool and spa they built for us. Ron McGuire Custom Homes has transformed our backyard into an oasis that we enjoy with family and friends. Their work is outstanding. They completed our projects on time and on budget. Their subcontractors are all very courteous and always leave things cleaner than when they started. They can do it all, even commercial construction. I highly recommend Ron McGuire Custom Homes for all your construction needs. Hello all. For those of you who are ready to take the plunge into building their custom dream home or a second home, you have probably already figured out that this is no simple Endeavor. Building with Ron was for us, a really exciting and beneficial experience. Ron is a builder who sorts out the many fine details which can be (and often are) overlooked, is a man of high integrity, and personally a great guy to work with. I learned a lot about the many aspects of custom home construction that are not readily apparent. His attention to those details is incredible. Ron McGuire Custom Homes is hands down the best experience we've had with new home construction (it is not our first). The home we have is solid, affordable, and very energy efficient. It has withstood the test of time. Spend some time looking at his work and you will surely agree that he is a master builder. He has our trust and also has our interests at heart, and is the first builder we would go to for a future home building investment. I'm proud to recommend him, and am happy to discuss our building experience personally. Before the industrial revolution, architects and builders alike lavished as much attention on creating an attractive ceiling as they would sketching out the right floor or wall treatments for a home. Since the baby boom, however, ceilings have fallen from favor with most builders and home owners - with local builder Ron McGuire being a notable exception. At Ron McGuire Custom Homes, he says, ceiling treatments are his company's signature in custom home design. "Most people think it's not cost effective to have some kind of ceiling accent in your home, but that's not true. It may be that you can't afford to have Michelangelo paint your ceiling, but you can afford to do something. For us, there is a minimal cost involved, because it's really a question of a couple of hours' work. In fact, there's more time spent preparing to do the work than in the actual application process." A home is not finished, he believes, until some consideration has been given to what goes above your head. "Sit around and watch TV sometime. The castles and mansions of Europe put a lot of emphasis on their ceilings. Here, they have been pretty much ignored, when all of their emphasis - and a great deal more money - has gone on faux paintings for the walls, intricate tile design and expensive carpets. By the time they're done paying for all of that, they don't really have the money to consider anything else." With a lifetime of custom home construction, McGuire says offering unique ceiling treatments gives both the builder and the client opportunities to express creativity. "What most people are stuck with on their ceilings is what's known as 'blown acoustic,' that popcorn stuff they do." he explains. "But back when I was just getting started, I began putting teddy bears and other kinds of animals on the ceilings of kids rooms." McGuire soon developed his own style of ceiling brocade, including such hand-textured patterns as lace tablecloths for dining room ceilings or bouquets of flowers accenting a central light fixture. "I'd have the ceiling painted first," he offers, "so you get good contrast, and the result is a room that really comes alive. After that, I just got to using my imagination, doing subtle things that would just add a bit of a nicer visual. For example, I might put a single rosebud in each corner of a room. I use plaster and acrylic sand, so for me, it's just like decorating a cake." Of course, one man's creativity is another man's eccentricity. "I did the battle of the Alamo for my bookkeeper sometime ago." he laughs, "all done in silhouette. And a while ago, I had one client who was a die-hard UT fan and he wanted a Longhorn insignia on his ceiling, but his wife didn't want any part of it. I managed to get it up there without anyone being able to see it except him. So it can be challenging sometimes." In addition to the company's distinctive work with ceiling designs, McGuire diverges from standard architectural procedure with multiple ceiling recesses. "Most architects will show a 12-inch recess in their plans, and I like to do two six-inch recesses, so there's an opportunity to be more expressive with moldings. It adds character and depth to the room as well, without adding much in the way of expense." In fact, the process is simple and easy enough that homeowners can spruce up a plain ceiling with such ready-made treatments as borders, medallions and plaster ropes, commonly available in craft shops around the city. Providing his one-of-a-kind ceilings at little to no cost has given McGuire a calling card unlike any other builder in town. "I believe it brings me business in the long run," he concludes. "People have their friends over and they comment on how great the home looks, and a lot of my clients have come to me that way, through referrals." "The important thing to recognize is when enough is enough. If it seems done, you don't have to do the whole house. Some clients are especially interested in rounded corners right now. In reality, there are just a few places where you need to create them in order to create that image. It's the same with ceilings. If you can catch people when they first walk in the door, then they're dazzled. It's all in the first impression."